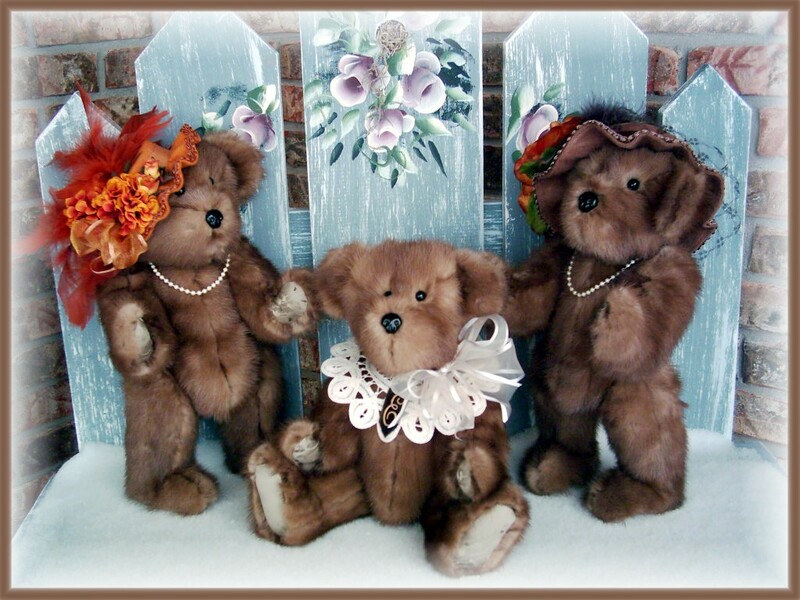 Hi Rhonda...THANK YOU so much for the incredible job in turning my Moms mink into three beautiful bears! My wife loves hers and my son does too...my daughter will receive hers in early January! Merry Christmas to you and your family! The bears arrived yesterday and they are beautiful! Thank you so much for all the hard work that went into making them. Dear Rhonda...Bartholemew arrived today...and he is just perfect! I as surprised to see how quickly he arrive, and to see the extra care you took to pack him for mailing. I will now have many years of enjoying him...instead of having a jacket tucked away in a cold close. Thank you so much, you are a very talented lady!S.B. Thank you for the bears. They are fabulous! You did such an amazing job and they look so professional. It means a lot! I received Violet today and she is gorgeous. My mother will be thrilled with her I know. 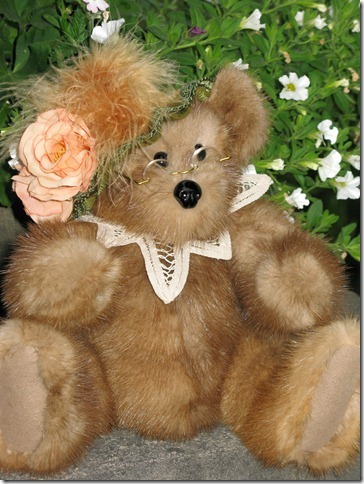 Thank you so much for turning my mother's mink stole into this beautiful bear that will be treasured by our family. We received the 6 teddy bears in good time and I was able to personally give my brother and my sister their bears when they were in Toronto for a visit. Both my brother and my sister were quite touched with the gift and the special memento of our mother. 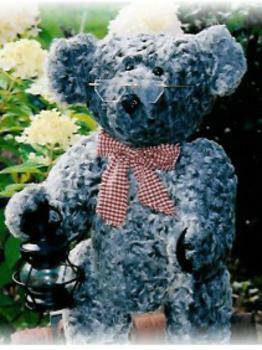 My family really appreciated the lovely work you did on the bears and they will treasure them for years. My granddaughter especially was very happy to keep her mom's bear for herself. Thanks so much for these lovely 'creature creations'...you do wonderful work. Rhonda, Your work and obvious 'love' and care that you put into your bears is so evident!!! They just arrived !I've stopped admiring and loving them long enough to tell you they're here and absolutely perfect!! I have to wait until daughter #3 is here from Texas before presenting them to all three, so I get to enjoy them for six weeks on my own! LOVE THE BEARS! Thank you very much! I am sure they are all going to loving homes. What keepsakes they are! I know my grand daughters are going to be wild over them. They are adorable! You did an amazing job! ...Can hardly wait to get Ruthie & Evelyn! Omigosh they look amazing! Just as my parents! And the pearls are just a lovely touch-well done! 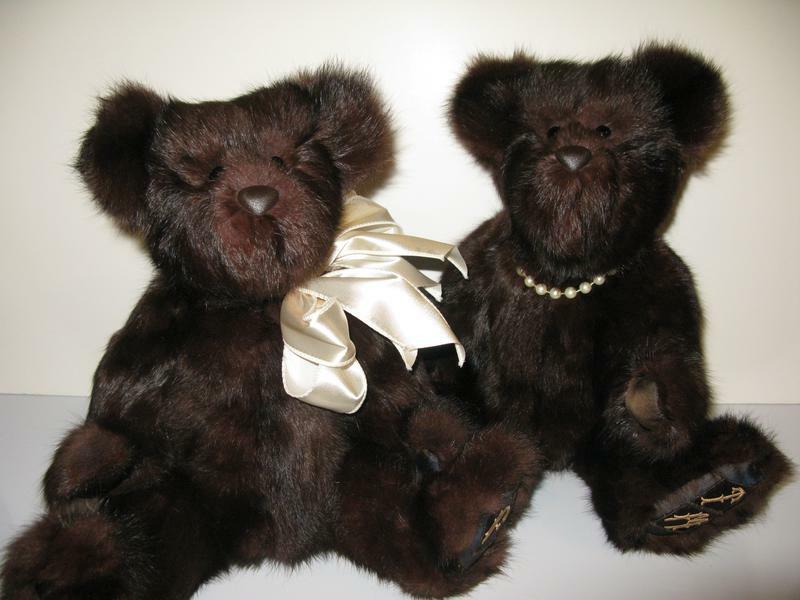 Bears arrived on the 11th and we opened the box at Kathy's this PM. The bears are lovely and we are so pleased. ...Once again thanks. I can hardly wait to hold her. 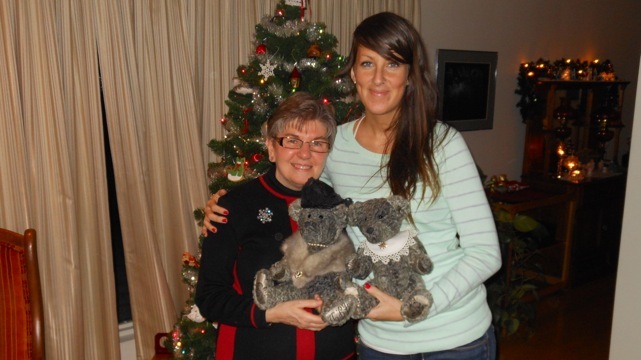 Mom had tears of joy and all the wonderful memories of grandma when she saw the bear. Your work is truly a blessing. The beautiful bears arrived safe and sound today. Just Love them! You sure do top of the line work! My congratulations. You are one clever lady. Thank you very much for making them for me. Just so happy and pleased with the bears. 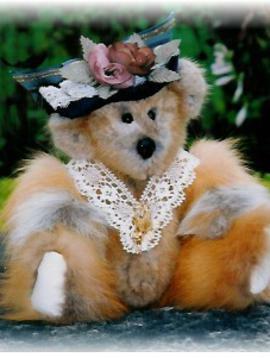 The bears are beautiful, Irene will be so delighted-and what a lovely thoughtful touch to incorporate Irene's name on the foot! And thank you for going above and beyond, you have done a great job of duplicating the lace collar and the pearls and rhinestones. I fell in love with J.M. 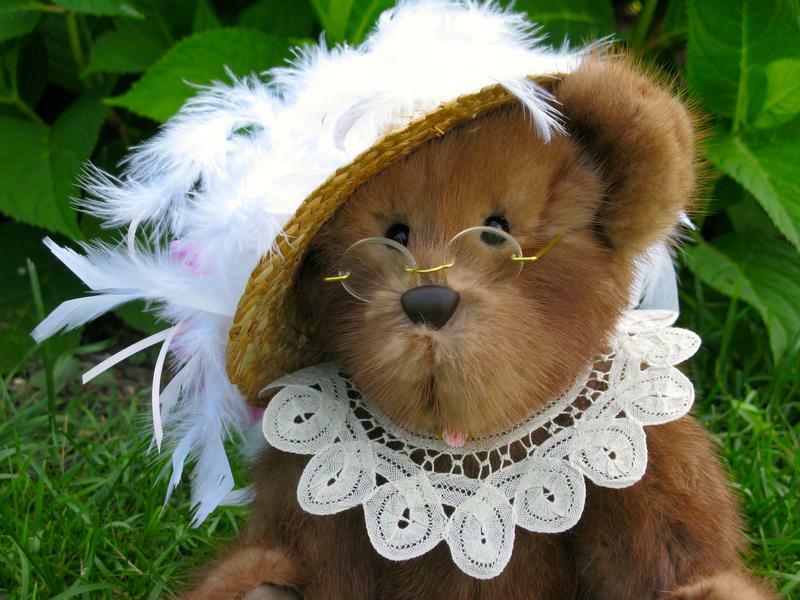 's bear that you made from her mother's fur coat and so I had no qualms about recommending you to Irene when she was trying to decide what to do with her coat. You have not disappointed-the bears are truly beautiful. OMG Rhonda she is soooo beautiful, I am sitting here with tears, Thank you so much. You are sure a talented Lady thanks again. I hope you and your family had a healthy and happy Christmas. I saved the bears for a Christmas surprise and I thought I would share a picture of my daughter and I with them. I did not attach the picture of her crying when she opened the special parcel. The bears are both so beautiful and will always hold a very special place in our hearts. I have taken a few days off over the holidays as it was pretty busy at work before Christmas. I hope you have been able to take some time ti enjoy a break and relax a bit. Thank you again for the bears. Your talent is amazing. I hope that you will continue to share your craft with others as you are a true artist. 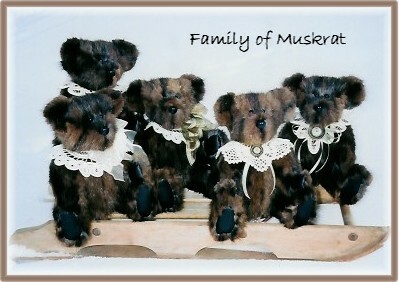 Thank-you Rhonda for the beautiful custom made bears. They arrived safely yesterday. We are delighted with the productions and you are to be commended on your craftsmanship. Actually they rather brought tears to my eyes! Wonderful to have them in time for Christmas. Thanks again. Oh Rhonda, they are adorable. I can't wait to see them in person. Thanks again for all your hard work, I know the kids will love them. Have a very Merry Christmas and hopefully a well deserved break.....until you begin again, with another creation. Words cannot express how I felt when I received the bears. They are so beautiful ! 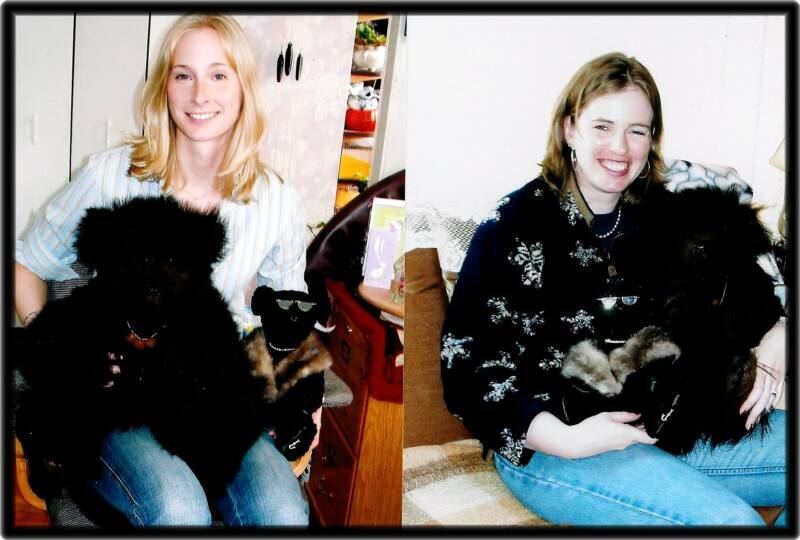 When a friend had told me about turning the coats into teddy bears, I thought she was crazy, and couldn’t imagine what my mom would say. I think my mom would be thrilled. The attention to detail, including the embroidering into the paws, which displays my mom’s name is so touching. Thank you for this incredible treasure. You have such a lovely gift. These delightful bears will be treasured for years to come. Ps I have shared with my coworkers and they are all envious and wanted your number. One of them knew of you and your work ! Hi Rhonda, I just rec'd William safe and sound....sooooo cute. You did a beautiful job on him...i just love him. 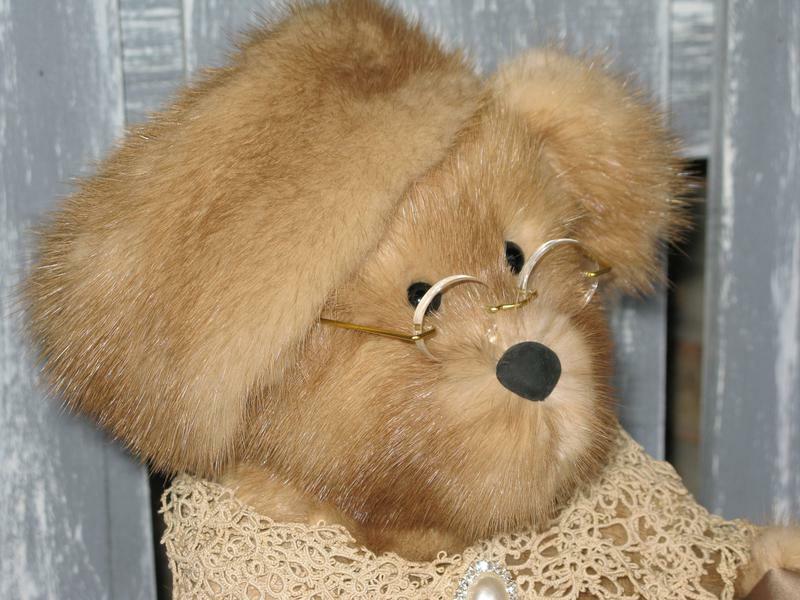 I am going to get myself in trouble but I am interested in one more of your bears, either julie or cinnamon...I will be in touch shortly when I can make up my mind....I thankyou again. Kelly and Lincoln just arrived this afternoon and they are truly precious! Thank you so much.......they are even more lovely "in person" than in the pictures and we will treasure them for many years to come! Just a quick note to let you know that the bears arrived on wednesday. I thought it would be really nice to open the box together with my daughter, the only problem being she had been away and not due back until thursday night. It was killing me not to open that box! I was tempted many times but glad that i did wait for her as it was very special to see the bears for the first time together. I'm also glad that you allocated the name-tag for each bear because if i had to choose which bear was to get which name i'm afraid i'd be keeping them all! Thank you again Rhonda for creating 4 beautiful heirlooms that my family will treasure. guess what arrived in my mailbox this morning?!! they are soooo cute! even my husband thinks they are. thank you so much for putting up with all my questions and enquiries and for making something so wonderful out of an old coat. i have given your address to two of my friends. i hope they contact you. Rhonda...The bears were a great hit. My girls loved them and you would have thought I gave Robin's cousin the world when I gave her 'Aunt Helen'. 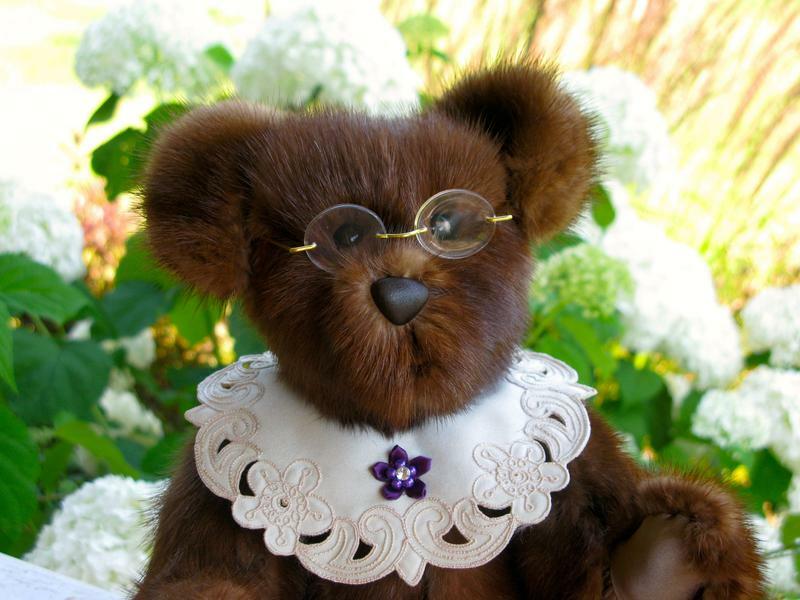 Thanks so much for the wonderful bear 'Violet May'. My mom got the parcel Christmas Eve and was delighted! It has been the topic of conversation and her pride and joy! Thanks again for all you hard work in making the Siegner Bear Family. As I have said before, we all adore them and you can be sure they will be in the family for many years. 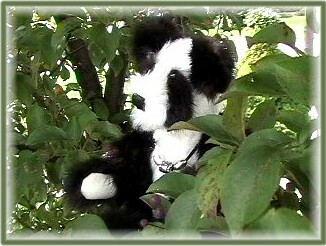 I don't know where to begin to tell you how much I love & cherish the tedy bears you did for me. 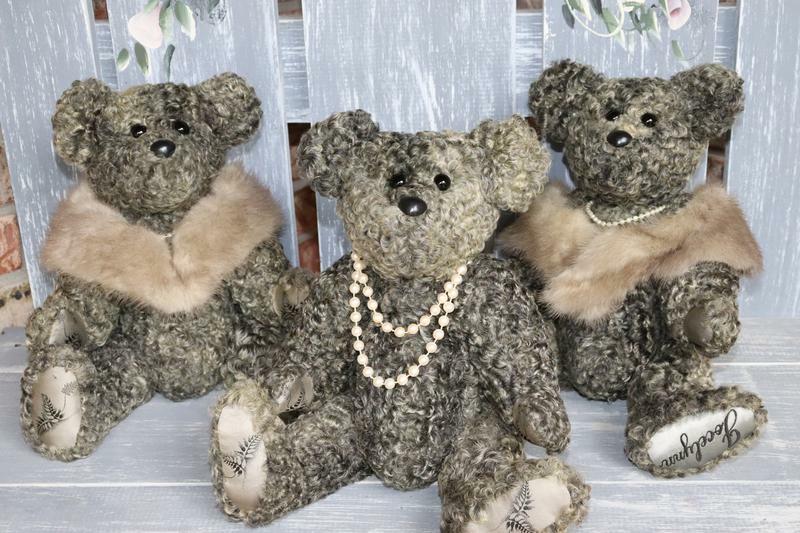 I just love them...The special skill you have in turning fur coats into treasured teddies is certainly something to be proud of & I certainly appreciate them. They will be passed on to my grandchildren when I think its the right time. 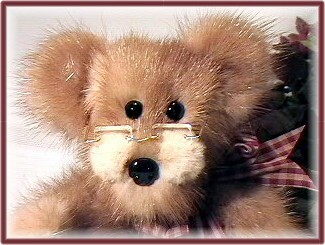 Hi Rhonda...I received the bear today and she is adorable! Thank you so much for making such a special keepsake. She will be cherished. Merry Christmas! ...Here are the pics of my Grandma....Thanks so much for all your hard work. Merry Christmas. Hi Rhonda: I should have been back to you months ago. If you wondered? They were a smashing success. 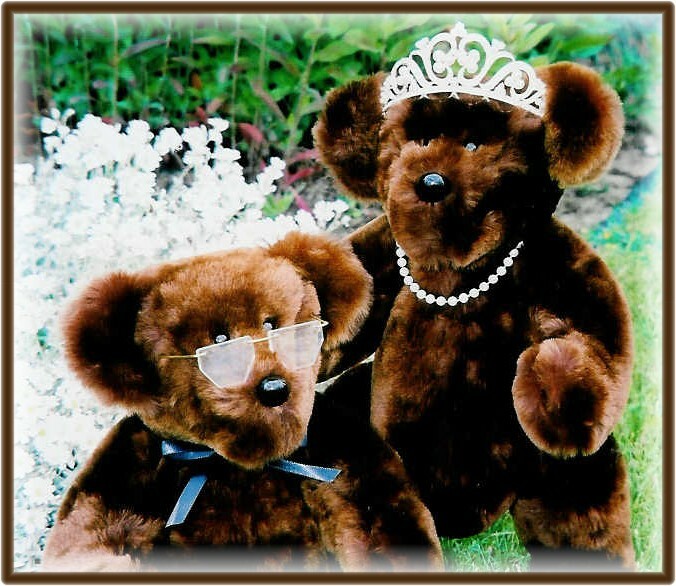 I gave one to my friends of 25 years for their 40th wedding anniversary party.....her husband was more excited than anyone over the bear. He wouldn't let anyone touch it only look. I sent one to Texas to my niece who went almost berserk as her husband tells it. I kept one for myself. I had planned to give them to a few of my great great nieces and realized children would not be able to keep their hands off them and they would be ready for the garbage in no time. Hi Rhonda...here are pix...first is 13 yr old Sandra's reaction when she saw the bear on her B'day June 16th!...We all love them! Thanks Once Again!! We just returned home to our adorable 'Hilda'. She is wonderful. I am so happy that I made the step to preserve the mink & memories with Hilda. "Hi Rhonda: Just wanted you to know that 'Nancy' arrived safe and sound. I was 'carded' on Friday and picked her up at the post office on Saturday morning. She is just beautiful and has been admired by everyone who comes. I am so happy to have this memory in teddy bear form. A coat in the closet that doesn't fit and is never seen is not as special. I remember as a child, just burying my face into the folds of that coat whenever my aunt was wearing it at our house and so I am enjoying lots of fond memories today. 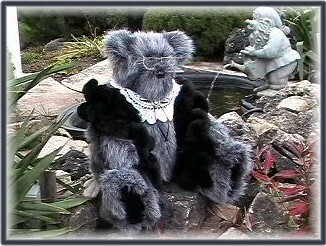 "Dear Rhonda, I wanted to thank you again for the great job you did making the two teddy bears from my mum's stole. As you know I gave one of the bears to my sister for Christmas. She was really surprised and just loves her bear. Everytime we look at our bears it will remind us of our mum. "Our 'bear family' arrived--we are so thrilled! 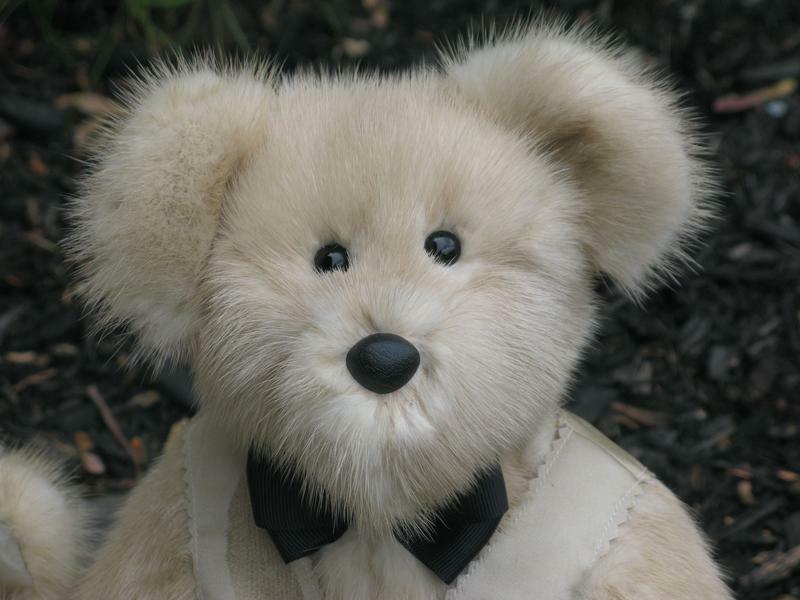 'Matthew' bear has rushed to Florida to his new home (we hope that he won't get too hot but know he will be muched loved!) 'Robbie & Annette' remain with us in the comfort of our favorite guest room. Thank you so much. Your work is truly incredible! "It was very thoughtful of you to forward the pictures ahead of time for us to see. I'm so anxious to give them to the grandchildren, what a 'wonderful' idea you had when you began making these 'treasures' for everyone. We just wanted to say Merry Christmas & Happy New Year. 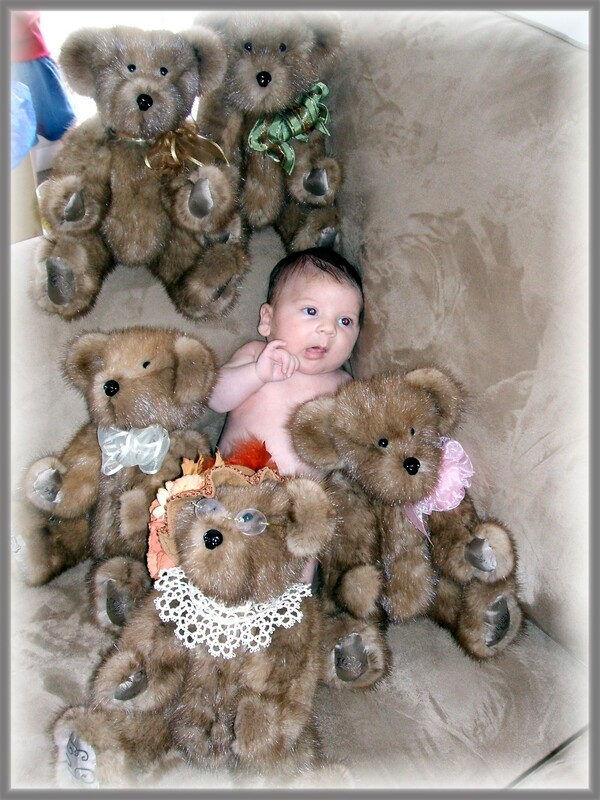 Hope you enjoy the pic of Ryann at Christmas with all the bears. We hope to get them together for every special occasion. That means five bears, five families. 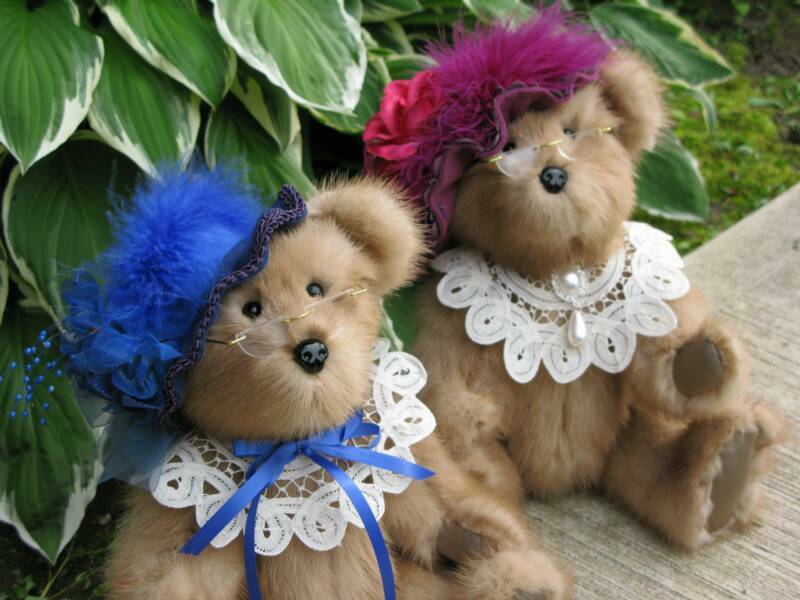 Thank you so much we love them"
"Rhonda...I picked up the teddy's on Monday-sorry I didn't let you know. They went to work with me on Wednesday and thoroughly enjoyed their field trip!! Everyone was amazed and thought it was such a wonderful idea for a keepsake. They thought your work was terrific! Thanks again-I really love them-you did a wonderful job!! Our new grandson has not yet made his debut-he was due on the 19th-but my daughter-in-law is looking forward to seeing the new bear." "Hi Rhonda....The bears arrived Thursday and they look great. J.M. was here for a short visit and just loved hers. I want to thank you for the great job you did with them. I hope they bring years of joy to the recipients. Good Luck with all your work both with the bears and in the hospital." 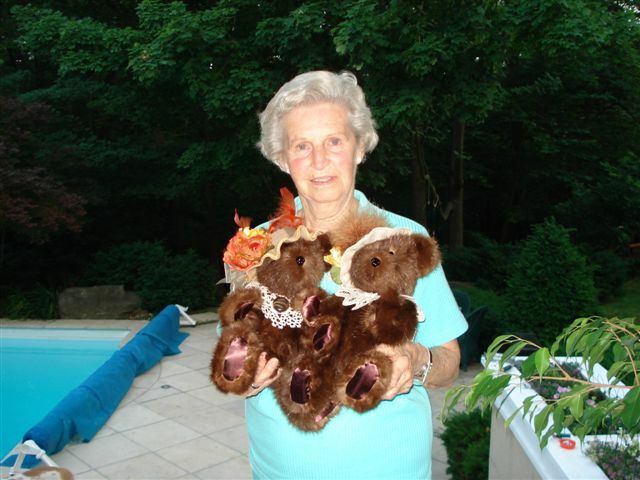 "...I can't tell you what a big hit the family of bears were with all the recipients. There were lots of tears shed, a little hyper-ventilating and lots of oooos and awes. All in all a great hit....Thank you again for all you hard work and helping to make our Christmas one to remember." "Rhonda, Hi I am one of the very lucky recipients of one of your creations. My mom is J.W. You made a herd or a colony of sorts for her. They are beautiful beyond words. 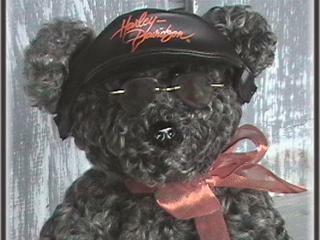 The sentiment behind the bears is second only to the craftsmanship you've put into them. Both my son and my daughter cherish and love them as I do. Thank you for this wonderful, caring gift that will forever bring joy and fond memories. I hope you continue to make others as happy as you have made us." 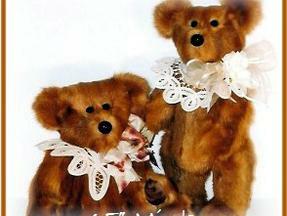 "Of course my sister and I fell in love with them-I asked mom if she recognized anything familiar about the Teddy Bears. 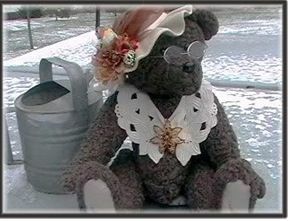 She knew right away they came from her mink coat and she was so happy we had them made into the bears. Thanks for all your hard work-we really are enjoying these...It was a nice Christmas surprise!" Now, to say, "Thank you for a job well done" is about as close as my throwing a pebble with hopes of its landing on the moon. There ARE NO WORDS to convey my appreciation of what you have returned to me. I unpacked them oh-so carefully and removed baby bear first. I could feel the tears coming, but was completely unprepared for my emotional reaction as I held the two of them. I confess to literally sobbing and when my poor husband wanted to know what was "wrong", I could only say how I wish my mother could see them. You, my dear, have a gift, and through it you have given me a piece of my own history that will be passed along to the next generations of my family. Thank you from the bottom of my heart." he goes to the Yukon. 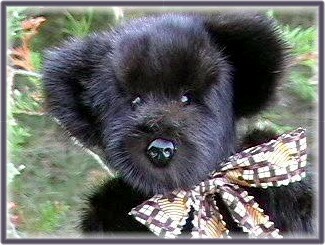 I have to say, I was never a "doll" person, but apparently bears are different. I found myself holding Hunter this morning while listening to the news. This means that L.M. 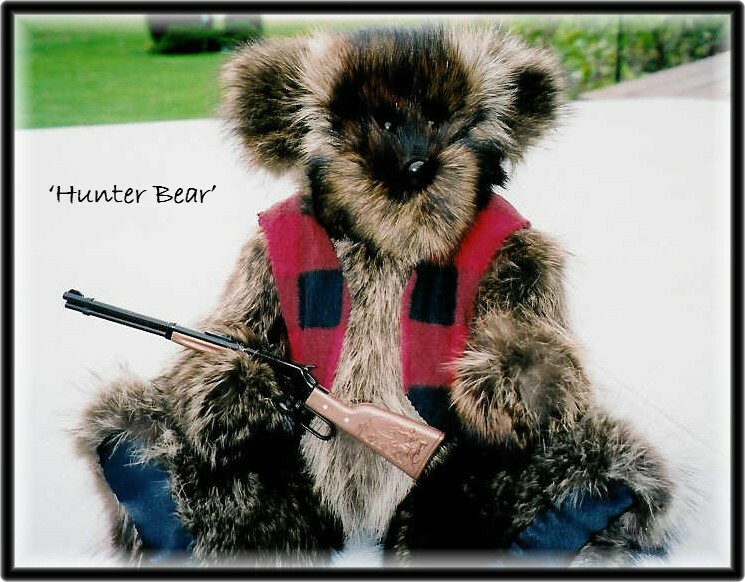 will be on the prowl for a large long haired coat to make a Hunter sized cuddly bear just for me. Thanks again for being so creative and putting so much love and personality into my new friends." 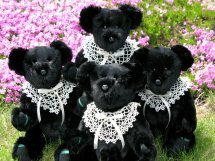 "Hello Rhonda: My bear family has just arrived and I can give you the first reaction: even though they are not for me and they are made from my mother-in-laws coat (who is still with us) they caused some great emotions to run through me, they are absolutely adorable and the tags are perfect, seeing them I can assure you there will be happy tears on Christmas day. 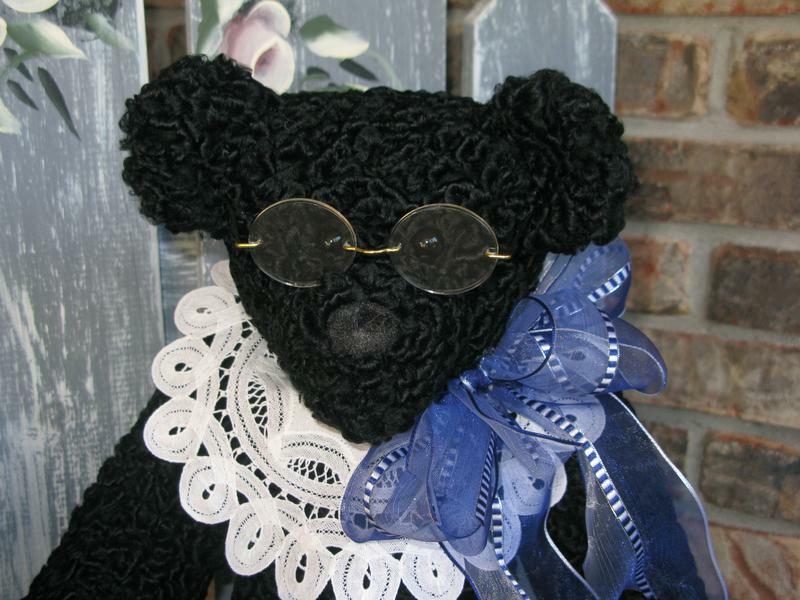 I think the biggest surprise will be that of my mother-in-law who I'm sure assumes that I have forgotten about the coat and having the bears made..."
"Hi Rhonda, I picked my bears up yesterday. They are beautiful!! The big decision for me now is which one to keep and which two to give away...Thanks again for doing a 'beary good' (great) job." 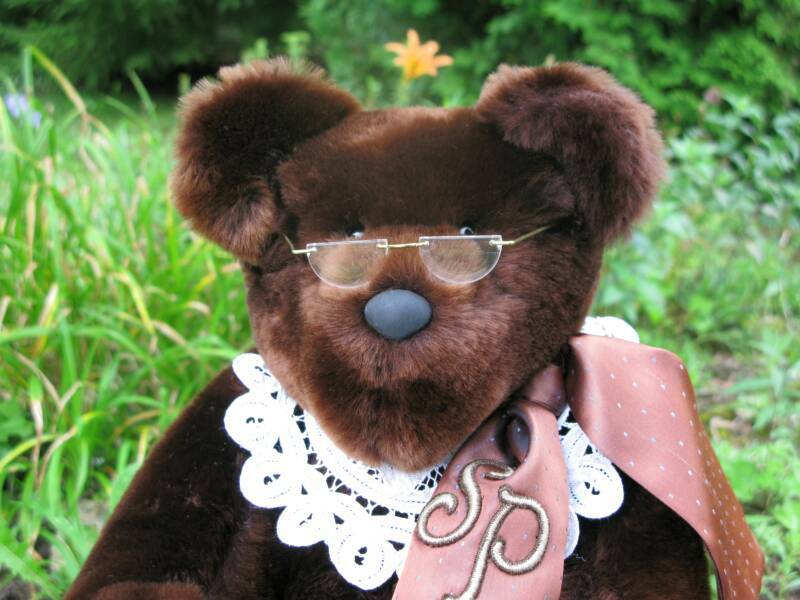 "E.M. was delighted with the bears. She blushed and kept repeating 'ohmagod' over and over. My sincere thanks to you for sharing your gift." "Hi Rhonda: Just wanted to send a thank you for the great job you did on creating Ali-Marie. I immediately took her to Meaford and took her picture in front of my parents former home at the beach..."
"Dear Rhonda, I am thrilled with my new family of teddy bears. They are delightful and I can hardly wait to see the response of my daughter and her cousins. I shall make a photo copy of the article from 'Canadian Teddy Bears' for each of them. 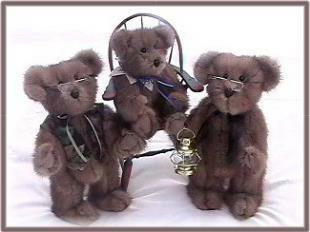 Presently the bears are sitting in my living room on the antique rocking chair which was my mother's. Needless to say they have brought back many precious memories. Thank you ever so much for your fine artistry and craftmanship. You have much to be proud of . Have a happy summer and I shall watch for you at upcoming craft shows." "Hi Rhonda-what a wonderful surprise I got today. I went and picked up your parcel and just love the bears!!! They are so beautiful-I feel like a kid at Christmas! Thank you so much for answering all my questions and for making us such a beautiful keepsake. Tomorrow is my daughter's birthday and she will be so surprised. Thanks Rhonda. My mom will be smiling down on her mink coat now." "Hi Rhonda...I was so anxious to see the bears. No wonder you will miss them. What characters! I am really pleased and want to show them to all my friends. You did a really super job...Many, many thanks"